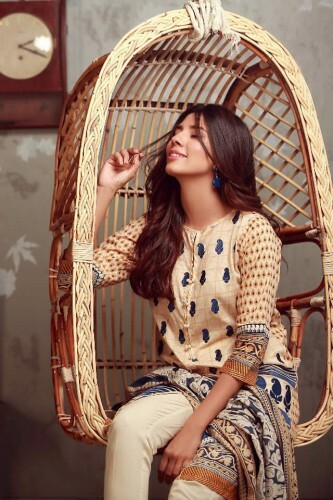 Khaadi is a famous Pakistani fashion clothing brand that has launched its new Luxury and Midsummer three-piece collection which is available at its retail stores. This new luxury and midsummer collection by Khaadi is a beautiful blend of eastern grace with modern style that is according to the choice and taste of every woman. This whole new collection is a blend of traditional and modern styles with bright colors in order to provide stylish and seasonally appropriate dresses for summer. The collection is made unique and lovely with the introduction of rich colors and superb embroidery. Khaadi was introduced in 1998 and its initial offerings were kurtas and loose fabric. But now the brand is known very well not only in Pakistan but also on international level. Apart from providing beat quality products, the brand is also famous for its trust and care. This midsummer luxury collection 2017 by Khaadi has been launched officially.